Boracay is not the only island in the Philippines with white sandy beaches. In fact, I saw lots of these islands a couple of times while on the plane. I've been to Boracay and Panglao Island in Bohol. Lately, I discovered this little piece of heaven in Sipalay City, Negros Occidental. 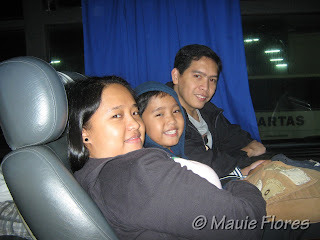 From Hinigaran, we rode a private van to Sipalay City which took us around 2 hours travel time. We stayed at Robinson Cruse Beach Resort which was way better than Canonoy Beach Resort! For only Php 1,500 per airconditioned room, we were able to sleep comfortably in 2 double-sized beds. Even without TV and the lack of cellphone signal, everything was worth the price. We were told that the waters in that area of Sipalay City were declared to be a protected marine sanctuary. Thus, colorful fishes, starfishes, and jellyfish swam with us in the water. It reminded me of my first visit of Boracay in the early 90s. Resorts in the area also provide diving gear so enthusiasts can see its unspoiled coral reefs. Easy Diving Beach Resort operates a Dive Center that offers diving trips guided by PADI instructors or local dive masters. There are only a handful of resorts in the area. Most of the houses that line up the beachfront are owned by locals who offer rooms at a lower price than the resorts. There are also the sari-sari stores and canteens where we were able to buy more affordable food. Sipalay City's white sandy beaches have a lot of promise. The place still needs a lot more improvement when it comes to facilities. Nevertheless, it provided us with our much needed vacation away from our cellular phones and our laptops. I like it better that way, if you ask me. Robinson Cruse is located at Punta Ballo, Barangay 4, Sipalay City. Sipalay is around 3 hours drive from Bacolod City. One can ride a bus or a public airconditioned van to go there from the capital. Even without Tv and cell phone...So sad to read this words. I mean, how can you possibly survive without the regular TV propaganda and mind control and texting addiction? Its really dissapointing here in Phils. Beautiful places, but so hard to find non-retarded people. Did all the MSG you consume on daily basis in your Ginisas and Magis Saraps altogether fried your brain? "Even without TV and the lack of cellphone signal, EVERYTHING WAS WORTH THE PRICE." "The place still needs a lot more improvement when it comes to facilities. Nevertheless, it provided us with our much needed vacation away from our cellular phones and our laptops. I LIKE IT BETTER THAT WAY, if you ask me." I don't see what's sad (and even retarded) about what I wrote. I even appreciated the quiet time away from my gadgets. By the way, I get migraine from MSG so I try stay away from that. Thanks for your visit, anyway. I am a Sipalaynon..born, raised and educated there (up to 2yrs in college in a private catholic school).. sana nakaderecho rin kayo ng Barangay San Jose or "Mina" where former copper mine site is located...dati, binansagan ang Barangay namin na "hidden city" because ours ay hindi nahuhuli sa trend, different people from different places in the Philippines even from outside the country went and stayed there and lived their lives with their whole family (their source of livelihood of course mostly are from their employment with the mining company).., and almost everything was available; private school (which also offers college education and it still operates till this time), catholic church, all sorts of recreational facilities like bowling hall with pilota court at the back, tennis court, huge gymnasium which has a gigantic cinema screen mounted at the open field fronting the gymnasium and etc..wala lang duon ay golf course..telephone lines were also available just for the entire Barrio coverage just for the exclusive use the company though. 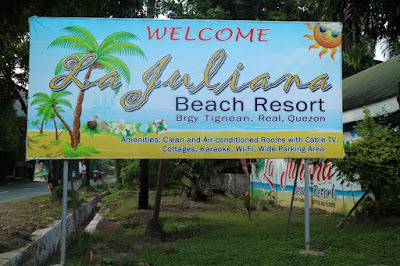 all these were provided by the company management, a mining company owned by the Cabarrus's, Spouses Don Jesus and Doña Inez, et al.. Barangay San Jose (my estimate) is 20mins drive to Sipalay proper where sorrounding beautiful beaches are located. Sa ngayon, Sipalay Mines (San Jose) is almost like a ghost town due to the fall of the mining company several years ago..residents were gone to other places. it is now 13 years already since my last homecoming on March 4, 1999..it is my fervent wish to come home once time and finances permit. I will bring along my family dahil gusto ko ipagmalaki ang lugar na aking pinagmulan not just becuase it is my birthplace but it is indeed beautiful.. i truly miss her...SIPALAY!